I can imagine that churches all over America were filled on yesterday. Then again, there could have been a downhill shift in attendance. The same answer can be given for both scenarios. When crises hit it either causes one to hold on tighter to their beliefs or to question them. Despite the unfortunate and tragic events that have been occurring in our world lately, are they really anything new? Have we not been faced with tragedy and unpleasant circumstance before? We have experienced situations in our lives that have caused us to be overly stressed and filled with anxiety. But when there is a continuous amount of unexpected and repeated episodes of intense fear, it can cause you to go into a panic disorder. “Anyone who listens to my teaching and follows it is wise, like a person who builds a house on solid rock” (Matthew 7:24, NLT). If you are a Believer, now is not the time to start doubting or questioning your faith. Believers have always known that troubling times and tribulations were in our future. We experience different levels and seasons of perilous times. During these periods, we can hold on to our faith. Everything else is uncertain. Everything else is sure to fail. When humanity reminds us of how human we are through our shifting and rocky emotions, we must remember that if we keep our minds fixed on Jesus, He will keep us in perfect peace (ref. Isaiah 26:3). It is a natural response to feel anxiety when bad things continue to occur. You do not have to give into panic or constant fear of what might happen. Your faith is strong. And your faith is more powerful than your fear. Trust God to keep you; for He is a sure anchor in shaky ground. Now Stand on your Solid Faith. You are not alone! 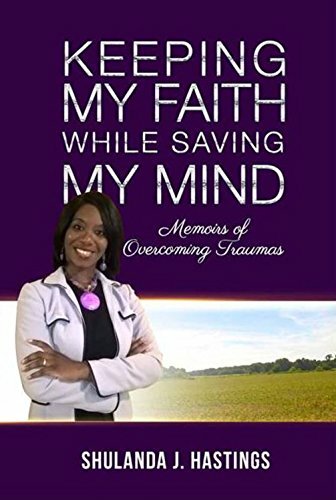 Posted on July 18, 2016 July 18, 2016 by Ambassador ShulandaPosted in Advocacy, Empowerment, In the Church, In the News, Mental Health, UncategorizedTagged anxiety, faith, panic disorder, shaky ground, solid rock, stress, troubling times, trusting God.